Town’s U18s will face Leicester City away in the quarter-finals of the FA Youth Cup if they beat Watford in their fifth round tie on Tuesday 12th February at Wingate and Finchley's Maurice Rebak Stadium. The draw for the quarter and semi-finals of the competition Town won in 1973, 1975 and 2005 took place on Friday. 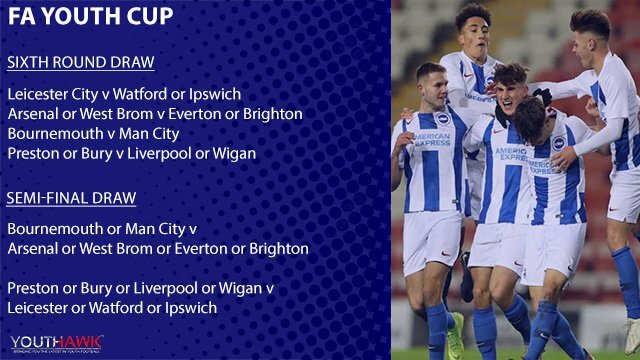 If the young Blues, who are coached by Adem Atay and Kieron Dyer, beat the Hornets and then the Foxes they will take on Preston, Bury, Liverpool or Wigan in a two-legged semi-final. Meanwhile, Town’s table-topping U23s are in action against Crystal Palace at the Eagles’ training ground on Monday afternoon (KO 1pm). Good luck lads. Bring some sunshine to this club.